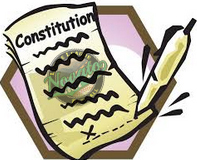 The NSLL Constitution is a document that outlines the policies and procedures with which NSLL conducts its operations. Changes to the Constitution may only be made atthe Annual Meeting of the Members. The Annual Meeting of the Members of the NSLL shall be held on the second Tuesday of September at 7:00 p.m. each year for the purpose of electing new Members, electing the Board of Directors, receiving reports, reviewing the Constitution, appointing committees, and for the transaction of such business as may properly come before the meeting. Each year the Constitution is sent to Little League International for approval and filing.